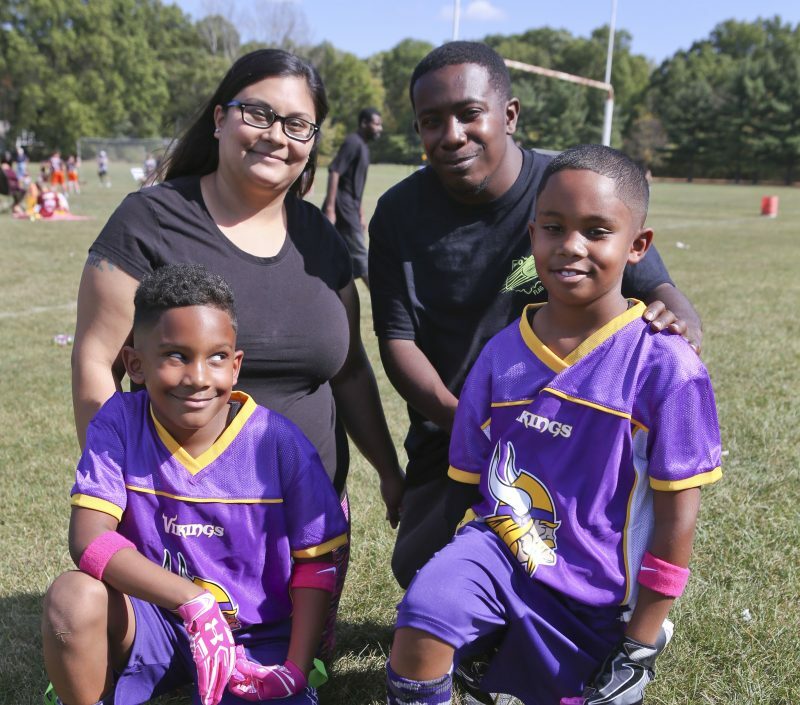 Pausing for a quick pose before their flag football game is Vince Clark, Jr. (front row, right) with his brother Paul, mother Tiffany and father Vince, Sr. First-time parents can relate to the anticipation and excitement surrounding the 20-week ultrasound. Tiffany Hanoman and Vincent Clark of Struthers were no exception. They even invited their parents along to be part of the experience and learn of the baby’s gender. But soon into the test, Hanoman could sense from the reaction of the ultrasound tech that something was wrong. Her obstetrician entered the room and detected she had almost no amniotic fluid, and referred her to immediately see a high-risk pregnancy specialist. At that visit they learned there was a problem with the baby’s kidneys. 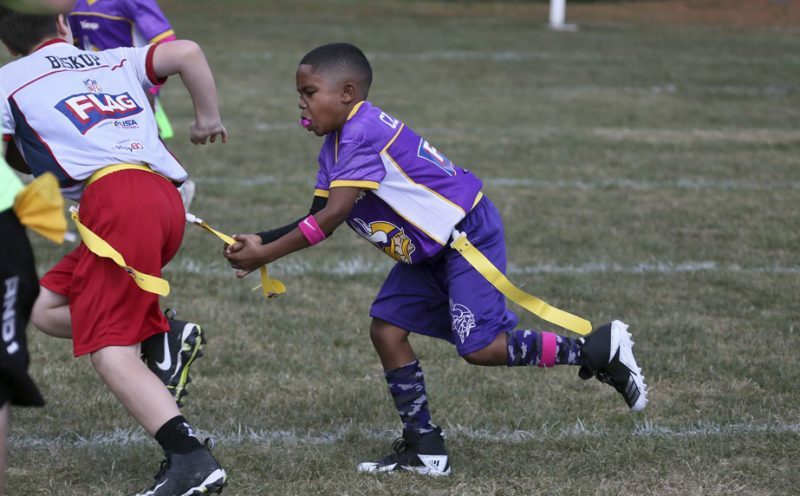 Vince stays active by playing in multiple flag football leagues in the fall, and basketball in the winter. Hanoman was closely watched from there, and her amniotic fluid levels slowly picked up to acceptable levels throughout the remainder of her pregnancy. At 37 weeks she was induced after the levels dropped again, and delivered her son Vincent. At Vincent’s first pediatrician visit 3 days later, lab work results on his kidney function were concerning. He was admitted to Akron Children’s Hospital, where he spent a week in the neonatal intensive care unit (NICU) until he was stabilized. That visit started the need for close monitoring of his kidney function and growth. As a toddler he had a surgical procedure to correct a condition where the urine flow is reversed from the bladder into the kidney. Now, at 10 years old and a 5th grader at Struthers Middle School, his abnormal kidney development continues to be closely watched. Vince must stay hydrated, especially during heavy activity. His mother says Vincent’s kidneys were very small at birth, and even though he is growing, the kidneys grow just enough to provide the function he needs now as an adolescent. But he will eventually hit a growth spurt near puberty where his kidneys may not be able to keep up. That’s when he will need a kidney transplant. “We had quite a scare early on, but thankfully since then he’s been very stable,” Hanoman said. Vincent receives follow-up care from Akron Children’s Hospital Nephrologist Dr. Shefali Mahesh in the Boardman specialty office. His electrolytes and creatinine levels are consistently monitored as indicators of his kidney function. The goal is to keep the levels stable for as long as possible to prevent further deterioration of his kidney function. 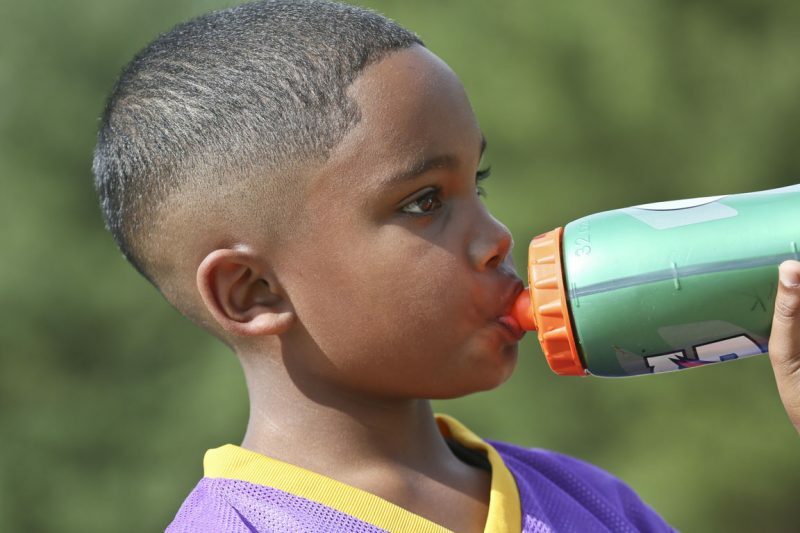 Meanwhile, he needs to drink lots of water to keep from getting dehydrated, manage his diet; and to the best he can, avoid infections, which can cause permanent damage to his kidneys in the form of scars. 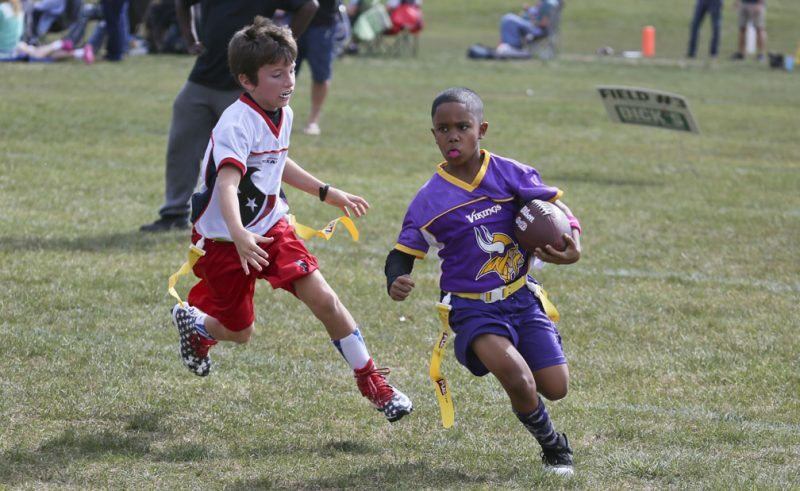 For fun, Vince has developed a passion for flag football, and even plays in 2 leagues simultaneously during the fall. He also plays organized basketball in the winter.